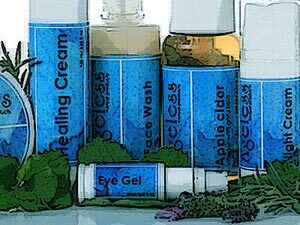 The Ageless herbal products range grew from humble beginning and we started out as selling the Herbazone range, which at that time was sold under signature of Margaret Roberts. When Margaret withdrew her endorsement of the Herbazone range we decided that it was time that we formulated our own herbal range. When this website was started in 1998 we sold the Herbazone range via this website. Using pioneering, innovative and trend setting new science in herbal compounds and research we then reformulated the Ageless herbal range in 2002. With the infrastructure of the company we could then provide clients with world-class and superior Ageless herbal products. We have bio-chemical testing facilities for assistance and help and also to ensure the superior quality and safety of all products manufactured. Apart from the infrastructure held in South Africa, the company also has various non-exclusive working and developing agreements with some of the largest herbal and botanical research laboratories in the world, and for this reason can always offer the latest and most cutting-edge products of natural source. Few people can be as passionate about their products and research, as the South African director of the holding company, Duane Milne.